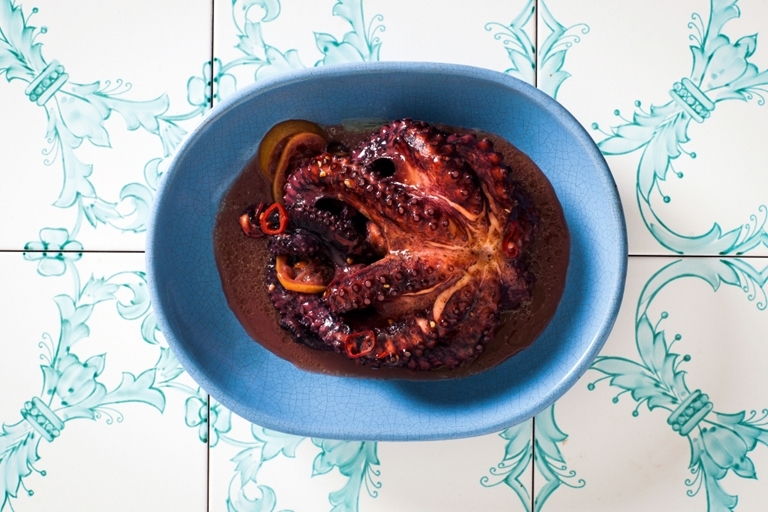 This Luciana-style octopus recipe demonstrates one of the most simple (and best) ways to cook this glorious octopod. Using so few ingredients allow the flavours to speak for themselves. Slice and serve as a starter, or even as part of an antipasti selection. This recipe is taken from the book Naples and the Amalfi Coast by The Silver Spoon, published by Phaidon. Photographs by Simon Bajada.